How to lose weight after delivery is a worry lots of new moms have. Losing weight after having a baby can be hard work. Weight loss after cesarean delivery can feel even harder because the healing process usually takes longer than that of a natural birth. Your body has been hard at work growing a new life for nine whole months so it takes some time to adapt to its new role. Remember to be kind to yourself and settle into motherhood before worrying about how to get slim after cesarean delivery. When both you and your doctor feel you are ready to consider post-pregnancy weight loss after c section we have some great tips on how to lose weight after pregnancy naturally. Keeping reading to learn more about c section weight loss. 1.3 Is It Harder To Lose Weight After a C Section? 1.4.1 Does breastfeeding make you lose weight? First, we need to understand how our body is working after birth and the new demands that it is taking before worrying about how to lose weight after c section pregnancy. There is a lot of adjustment going on in your body just after the baby is born. The body needs enough time to establish a healthy milk supply and it cannot be done if your caloric intake has restrictions. Therefore it is best to wait until your baby is 6 to 8 weeks old before starting any dieting. In fact, don’t do anything consciously to lose weight until after 6 to 8 weeks. It is totally okay NOT to bounce back to your pre-pregnancy weight in the first few months. However, it is likely that you will love some weight. Breastfeeding does burn extra calories per day so keep that in mind. Every mom will be different but most doctors will advise that anywhere from 8 weeks to 12 weeks after birth is a good time to start thinking about exercising after a c section. Be sure to check with your doctor before you start thinking about how to lose weight after pregnancy c section. Rapid weight loss after pregnancy is not a good idea. Aim to lose weight slowly and stead. And remember there is no average time to lose baby weight. Every mom’s story is different, every woman’s body is different and situations can vary for each mom. You can expect to carry a little overweight for maybe 6 months to 2 years after pregnancy. It can take up to 12 months to lose baby weight and some women’s bodies will never go back to pre-baby shape and weight. Try not to put too much emotional and physical pressure on yourself to lose weight quickly after a C-section. Instead, focus on being healthy and a great role model for your new baby to follow as they get older. Need some simple self-care treats now your a mom? Discover our 15 Self-care tips for moms here. Is It Harder To Lose Weight After a C Section? The answer luckily is no!. Of course, you may be restricted on what type of exercises you can do to lose weight but that just means you need to find alternatives that work for you. 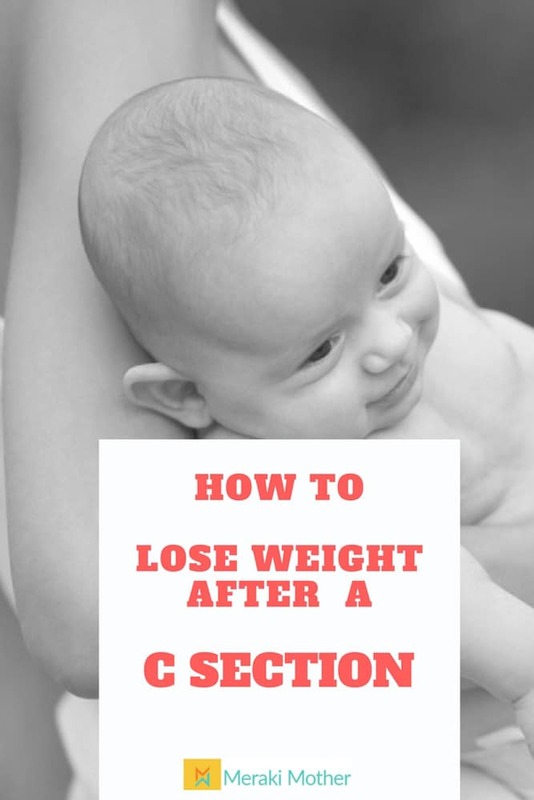 You may see it said often that losing weight after c section is harder but this may be due to it taking longer for your body to heal and swelling to reduce rather than actually losing body weight. But you came here to find out how to lose weight after cesarean, right? 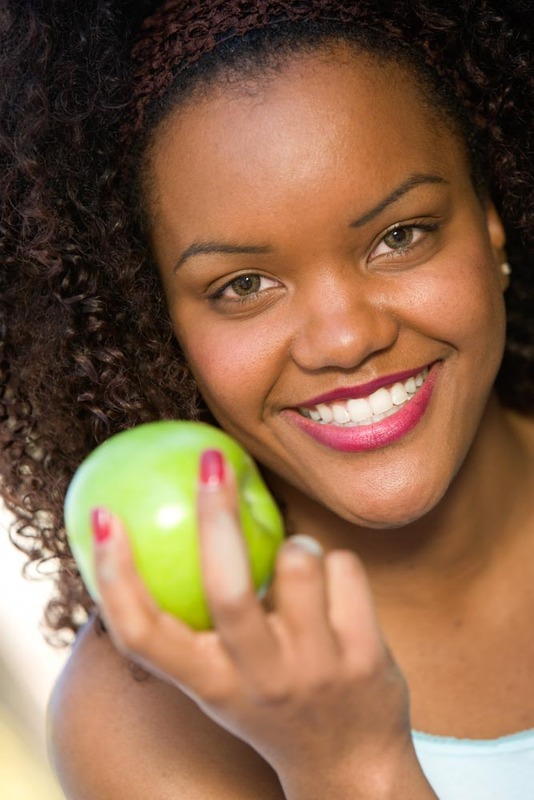 The best ways to lose weight is through diet, exercise, and breastfeeding. Keep reading to find out more about how to get slim after c section. Unfortunately, this depends on the individual. Many moms, naturally will lose weight fast while breastfeeding but there are some new moms that find they are gaining weight while breastfeeding. We understand that some women decide against breastfeeding but if you do choose to breastfeed, not only is it great for your new baby but can help burn up to 500 extra calories a day and can be a great aid to weight loss after cesarean section. The main reason you are losing weight while breastfeeding is because your body burns so many extra calories providing nourishment for your baby. It is the easiest way to lose your baby belly fast. The beauty of this is that as long as you eat healthy foods and be sure to provide your body with the right foods you will lose weight when breastfeeding. If you are gaining weight just check what foods you are eating. A healthy, well-nourished nursing mom can safely lose up to 1 pound per week. But breastfeeding can make you very hungry, be sure to have healthy, quick to grab foods prepared so that you are not resorting to packaged processed food for ease and end up putting more weight than you lose. Suggestions are lots of fresh vegetables (cut these up and store in airtight containers so they are at hand quickly), fruits, lean meats, fish and eggs. It is important to not go on a restrictive calorie diet while breastfeeding as this can affect your milk supply. Be sure to drink plenty of water too. Not only will this help your milk supply but will help to keep your body healthy, hydrated and is great for flushing out toxins in your body during weight loss. Ditch the soda and sugary drinks. It is so easy to drink lots of calories without realizing it. One of the easiest ways to make sure you drink enough water is to carry around your own water bottle which you know you will need to fill up a certain amunt each day. 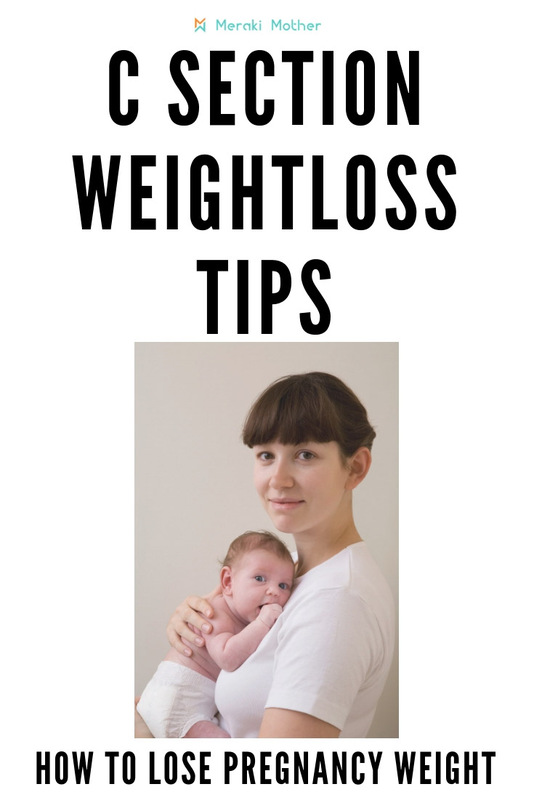 Most women are a bit too late for this advice but your eating habits during pregnancy will have a major effect on how you lose the extra weight after birth. If you are mindful of what you eat during pregnancy, you are just making your life a LOT easier after birth. Eating for two during pregnancy is not necessary! It varies per person but usually, an extra 300 calories per day should be enough for a healthy baby growth. Careless eating will have a significant impact on how you get back in shape after birth but also affects your baby future’s eating habits. Many studies have shown that children’s eating habits – either good or bad – are shaped in the womb by their mother’s own diets and during the early childhood years. So it is advisable that you a balanced diet, with a variety of flavors during your pregnancy. Doing that might lead to your child to have a better eating style later in life. We all want the best to our kids so be mindful of what you (and your baby consequently) are eating during pregnancy. Our guide to healthy eating for kids has a lot tips that you can implement during pregnancy! It is scary how much information online is actually misleading and causing more harm than good to women and babies. One of the best things you can do is to meet with a specialist. Nutrition is not an exact science, what works for one person may not work for another. A nutritionist or dietitian are professionals that can give you a personalized advice, based on your own situation, preferences and goals. Just as before your pregnancy, eating healthy is the best way to lose weight after a C section. Although you may be focused on how to lose weight fast after c section, we cannot stress enough that it is important to take your time and do it right. Do not skip meals. Instead, eat smaller more frequent meals. Set yourself up for success with meal planning. There is so much going on in your life after a new baby arrival that your nutrition may get neglected. Take the time every few days to plan your meals for the next days. If you don’t have time, ask for help from your family/partner. With meal planning, it will be easier to cook whole foods yourself and eat clean instead of buying processed and ready made food. Convenience may come at a price if you are shopping in a hurry for last minute cooking meals. Don’t let it offset your efforts and plan ahead! It may be hard work at first but we promise once you start to eat natural, homemade whole foods you will begin to feel amazing. Stay hydrated with water is obviously also very important for milk production. It is perfectly fine to snack but pick options that will keep you feeling full while giving you energy for all the hard work of motherhood. Cut back calories but pay attention to your milk supply. On average, a nursing mom will need an extra 300-500 calories per day than was needed to maintain her pre-pregnancy weight and keep a good milk supply. Although this is not a universal number you should not consume less than 1500-1800 calories per day while breastfeeding, and most women should stay at the high end of this range. Some mothers will require much more! But going below that may put your milk supply at risk. When you first start to exercise after a c-section remember to take things slowly and ease yourself into the exercise routine. Gentle exercises like walking, swimming and light jogging are the best places to start. Once your body starts to feel stronger the best postpartum exercise to reduce your tummy, involves core strength exercises. This will help you burn more fat and build muscles, which will help you get rid of those extra pounds. There are some great options here with isometric type exercises. Yoga is also another method on how to reduce tummy after a c section naturally. Find a program you enjoy online or on a DVDthat you can do at home, or find a class that will fit your needs. A good idea is to get a post-baby workout plan from a fitness professional. And always remember not to overdo any exercise. If you can’t go to the gym because there is nobody to care for your baby when you are away or for whatever other reason, find new ways to be active with your baby. Options could be a baby swim class where you go together or a baby yoga class. It’s a great way to make some new mom friends too. And believe me, you are going to need them! Alternatively, you can increase the times you take that walk through the park, with either a pram stroller or baby carrying. There are many ways you can be active at home too. Check our post on how to stay active at home for more ideas and inspiration. The best thing to remember is not to overdo. You will do more harm than good to your body while it is healing from birth. Exercising too much and burning too many calories can also have a negative effect on your breast milk supply, so be sure to pay attention to your body and do not attempt rapid weight loss after c section. Great advice. Breastfeeding really is magic for weight loss after a c-section *if* we can stay away from the highly processed carbs and sugars. Thank you. So true, a mistake lots of women make unfortunately. Especially when they’re feeling exhausted.